Remington Products is a Wadsworth-manufacturer of custom engineered products in cushioning and support solutions. They specialize in molding, sewing / sealing, and cutting technologies and work primarily in foam. Made in Medina County sat down with Rhonda Newman, President, to find out how to get comfortable with this company’s products. Q: Could you give us the history of Remington Products? Remington was founded in 1934 by the Remington family and were primarily manufacturers of foot-care findings. These were parts that helped with fitting shoes back in the day when shoes weren’t as standard as they are now. 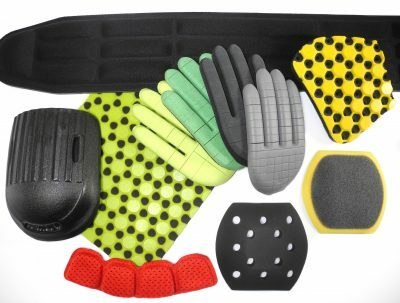 We produce foam products and our mission is to provide users well-being through support, cushioning, or protection. We now produce foot beds – those are the insoles that come in your shoes from the manufacturer – as well as after-market insoles, orthopedics, protective and cushioning padding, and anything foam our customers need! As a company, the big change came in 2008 when the third generation of Remingtons sold the business to the employees to become an Employee Stock Ownership Plan (ESOP). When they looked at succession planning, they realized the best way to preserve the company and keep it going in the right direction was to put the employees in charge. It is a great accomplishment to keep a family business running through three generations and to have the foresight to change models was impressive. Q: That is so interesting! What benefits have you found being an ESOP? about the customer and bringing forward concerns to make the products better. And all our decisions are made considering shareholders which is similar to many companies but in our case, those shareholders are in the building, on the floor, seeing what’s going on every day. It makes us all highly accountable. Q: What does that mean for your growth strategy? 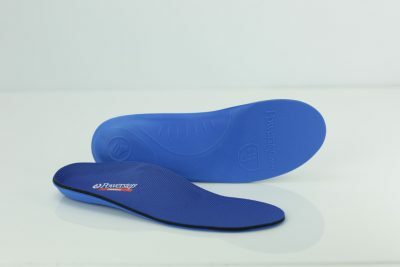 In a different market-space we were able to acquire technology to change how orthotics are made. Our Light Orthotics product is a machine that goes into a podiatrist’s office. Your foot is put through a membrane and then the machine actually sets the pattern through a light treatment. It provides a patient with an instant comfortable custom solution right on the spot. Q: What other types of products do you make? We are the number one supplier of military sneakers and boots insoles. It is great to know our military are supported and comfortable! We also make after-market consumer products including the Foot Petals brand of footcare items sold by Target, Macy’s and Dillards, Profoot Insoles found at Drug Mart, Sof Comfort Insoles found at Walmart and Red Wing Boots and Retail Insoles in Red Wing stores. Q: We love to buy products that support local companies! As we learn more and more about how posture affects health, people want to be more comfortable, and technology moves the products through more quickly, how do you do research and development? Our customers always drive our next product. We touch base with them and help solve problems. We also look at products that use foam to see where we can plug in and make it better. Helmet padding and sports padding are two areas we are researching right now to see how we could make it better. We also offer a full line of design services in-house. That gives us the solid working relationship with our clients we want to ensure everything is exactly what they need. It also allows us to make suggestions using the experience we have in other areas. It’s a real win-win! Q: Do you have any workforce challenges? We currently have 178 US employees total with 22 in Cincinnati. We always want to find the best people because once you are an employee, you are in line to become an owner. Our team is very diligent to make sure people we bring on are a good fit. For the last four years we have been recognized by the Plain Dealer as a Top Workplace. That has helped us with recruiting because people know it is a great place to work and want to come here. The staffing agencies we partner with tell us we get requested regularly. But before a temp is converted to an employee, their coworkers have to approve. Q: As an ESOP, what do you do to inform your shareholders? Every year we do a high-level financial review. As a company, we review with the shareholders where we are, where we’ve been, and what’s causing the changes. We have open-book financials. We also have to have a yearly valuation of the company where an independent firm comes in and determines how much the company is worth. Q: How do you get involved in your community? It is very important to us as a company to be part of the community. We have an Employee Communications Committee that brings projects to the organization. In February we did a bowl-a-thon to raise money for St. Jude’s Hospital. In September we built bikes for foster kids and got to deliver those. During the holidays we always support our local Salvation Army with Angel Tree gifts. We also match employees’ donations to charitable organizations as we want to support what they support. We are a member of the Wadsworth Chamber as well as a sustaining member of Playhouse Square. We are excited to participate in Made in Medina County Day this year! Mayor Laubaugh will be working in our plant! For more information on Remington Products, visit the company’s website.